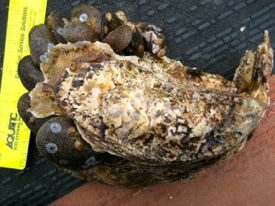 Oysters and Mussels Hooked mussels (smaller shells) are common inhabitants of oyster-reef habitats in Chesapeake Bay. ©Chris Judy (MD DNR). Survey Work Volunteers help count the relative numbers of oysters, mussels, and other organisms collected from an oyster reef in Maryland's Choptank River, a tributary of Chesapeake Bay. ©Lisa Kellogg/VIMS. Restoring oysters—and their ability to filter large volumes of water—is widely seen as a key way to improve the health of Chesapeake Bay. New research makes this calculus even more appealing, showing that the mussels that typically colonize the nooks and crannies of a restored oyster reef can more than double its overall filtration capacity. 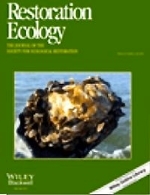 The study—by researchers at the University of Maryland, the Smithsonian Environmental Research Center, and the Virginia Institute of Marine Science—appears as the cover story in the most recent issue of Restoration Ecology . Filtering plankton helps improve water quality because these tiny drifting organisms thrive on the excess nitrogen and other nutrients that humans release into the Bay and its tributaries through farming, wastewater outflow, and the burning of fossil fuels. 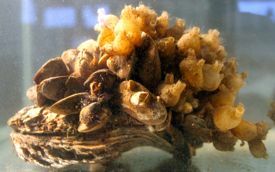 Kellogg is now taking this line of research further, studying how another common oyster-reef inhabitant—an organism called a tunicate—might also contribute to gains in water quality. Tunicates, fleshy animals also known as sea squirts, filter plankton and other particles from the water similarly to oysters and mussels.